A 6x6 foot garage cabinet system that provides ample storage space and a countertop workbench for all those hobbies you love. Works as a standalone system if this is all the storage you need and also complements any other cabinet combination you might want. 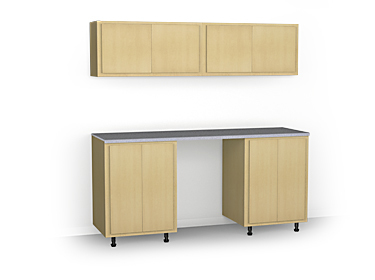 Designed to mix and match with any of our classic garage cabinets so you can build out this 6 foot cabinet system or leave it as is.